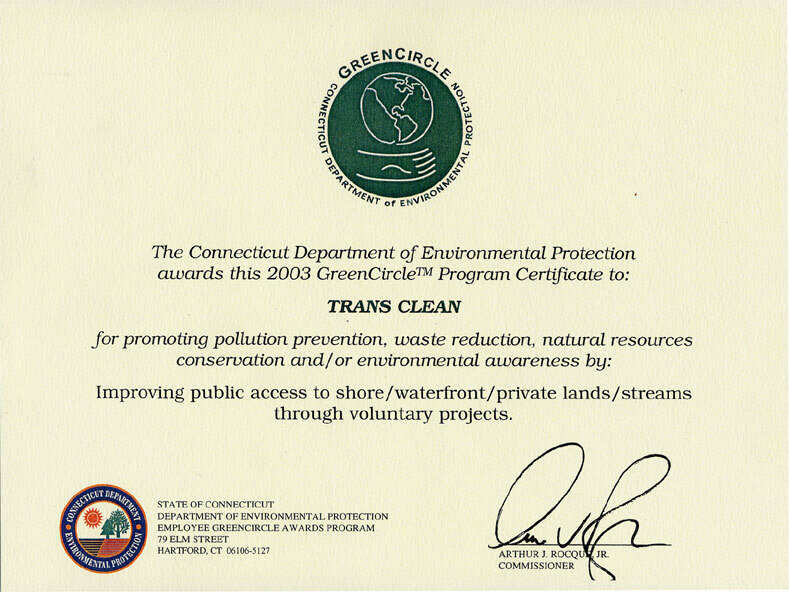 We have recently received the Connecticut Department of Environmental Protection's highest award for excellence, the GreenCircle™ Award, for promoting pollution prevention, waste reduction, natural resources conservation and/or environmental awareness. Click to enlarge certificate image below. Trans-Clean is affiliated with many industry associations to constantly enhance our knowledge and expertise to provide you with the best possible quality and service. Click on any logo below to go to that organization's website (if available). We use an exclusive wash water reclamation system to prevent drainage into our surrounding ground water and ultimately from going into Long Island Sound.